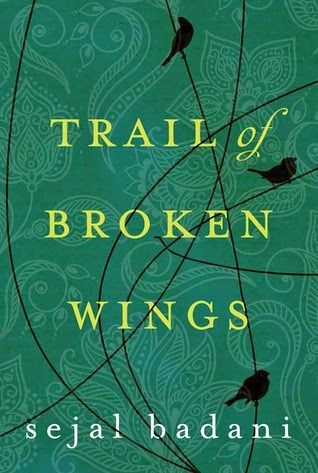 Trail of Broken Wings follows the emotional journey of three sisters and their mother who has reunited them as their father lies comatose. Some pray for his healing, while others long for him to leave this world. Youngest daughter Sonya hasn’t seen her family for six years. After her graduation, she drove away and never looked back. When she hears her mother’s voice on her cell phone asking for her to return home because her father may be dying, she panics as the pain of her past steals her breath and forces her to confront the demons she’s tried to outrun. “With approximately seven billion people in the world, I wonder how one person’s voice can have such an effect. This is such an intricate, complex story. Relationships fracture and fall apart, some mend and start anew, and others are just beginning. Each sister has a story to tell; and it was surprising how different their experiences were, but not surprising is how deeply affected they are by their tumultuous pasts and upbringing. I ached for each sister and her own family members. And while I struggle to understand how a mother can stand by as her child is being harmed, I hurt for her as well in her complete desperation and utter helplessness. Her story angered me but in the end absolutely gutted me. This family’s culture, their traditions, and even the food preparation were intriguing. It was eye-opening and humbling to read about what this family went through and how their lives changed when they came to America. The subject matter is a difficult one as it tackles domestic abuse at the hands of a husband and father who deservedly earned my hatred. While this won’t be a book for everyone, as it is extremely heartbreaking, it was also hopeful and definitely riveting. A very good debut with a powerful message. I look forward to reading more of this author’s work. I received this book in an exchange for my honest review. This one sounds heartbreaking. I don't always do well with books surrounding abuse because I get so so so angry but you have me very intrigued about this one. Great review Wifey. I pick up one of these issue books as I call them every once in awhile. Even though they are hard to read, I always glean something from them. It sounds like this was a book like that for you. I am sure the domestic abuse was tough to read, but hopefully it was handled well and you came away with something. Sounds like a really good book; glad you liked it! Glad you ended up enjoying this and that it was well done. Not sure I am in the right place for this now, but will mark it.